This was posted in the Echo Base thread, but I feel I should give it its own thread. 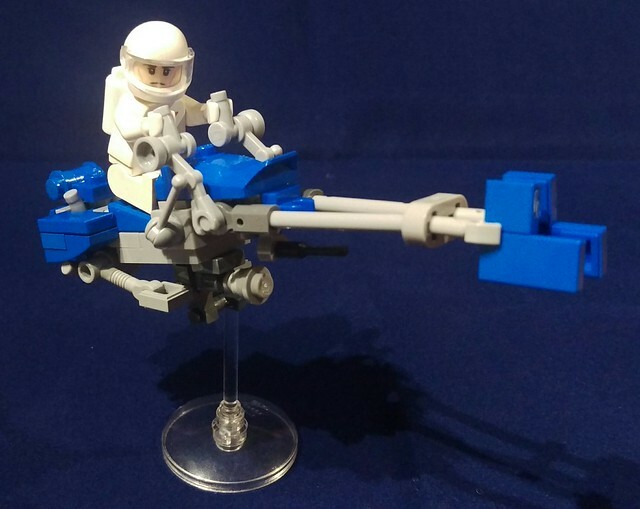 I had been displaying speeder bikes with various incarnations of my Hoth diorama, but I was really feeling the ones from various sets were no longer cutting the mustard, so I decided to build a better one. 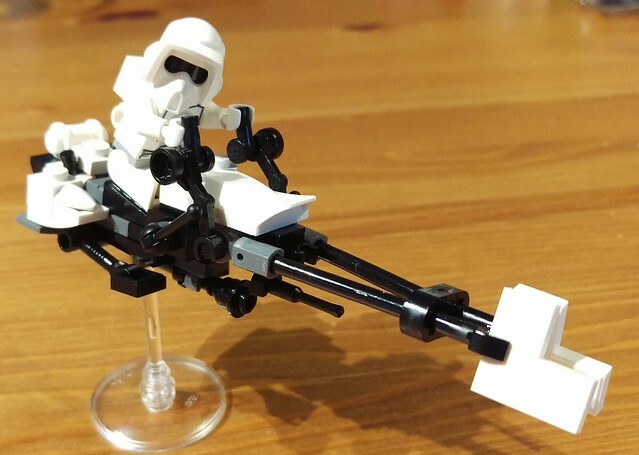 I modelled it very closely on the 74-Z speeder bike, as seen in Return of the Jedi, changing the colouring to white and making the pilot a cross between an Endor scout trooper and a snowtrooper. 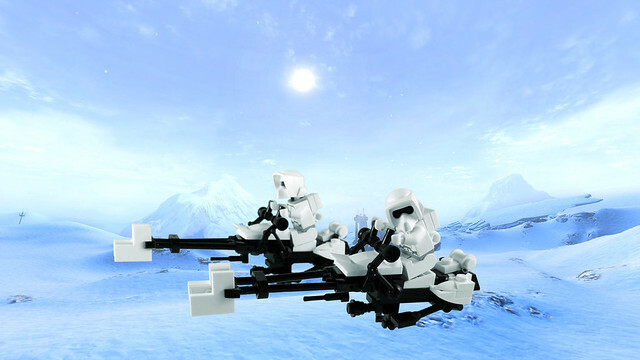 Although this wasn't seen in the Empire Strikes Back, several semi-canon sources suggest they were used on Hoth. I also made an Endor version, though the 2x2 corner tiles aren't available in brown, to I managed to make the claw piece hold a 1x2 and a 1x1 tile at the same time - definitely not an approved building technique! The spaceman isn't too happy about it. He thinks they go far too fast for safety. Credit due to several builders I've borrowed ideas from on Flickr, particularly Brickdoctor, Larry Lars, and, Calin. 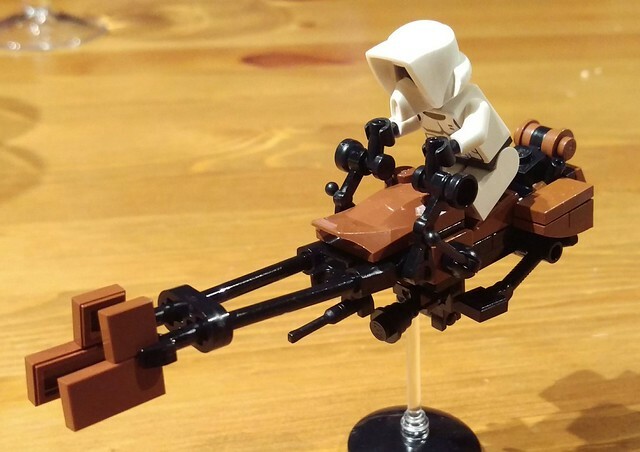 If anyone would to build their own version of it, I've made instructions available on Rebrickable.